Looking for sneakers? Get to Foot Locker, stat! They have the best-curated collections of shoes and athletic clothing powered by the latest technology and leading brands. Jog on over to Footlocker.co.uk to shop products from Nike, Jordan, Adidas, Puma, Reebok, Converse and more. Don't forget to use your Foot Locker discount codes at the checkout. Spring is here, and so are these amazing deals on Foot Locker shoes, trainers, slides, boots, jackets, hoodies, pants, bags and more for 10-60% off. Foot Locker trainers are some of the most affordable around, plus they're from top brands such as Nike and Adidas. As well, we suggest that you keep an eye out for any Foot Locker promo codes that will help you save even more on this purchase. Find all the top offers on Foot Locker Shoes, Jordans, trainers and junior styles. Shop the Foot Locker sale for these deals on trainers and shoes for men. This offer can be combined with other Foot Locker UK discount codes. Get the inside scoop on all the latest Foot Locker sales and offers when you sign up for newsletter emails. Shop the hottest brands and get items from Nike, Adidas, Puma and more up to 30% off in the Foot Locker clearance sale. Get the classic look of Converse sneakers are on sale with great Foot Locker deals! Shop now to grab styles from just £19.99. If you're not sure what to get them, then let them decide with a Foot Locker gift voucher! Curious how to get Foot Locker free delivery? It's easy. Just spend over £25 on Foot Locker Jordans, trainers and more. Grab a new pair of Puma shoes for anyone in your family at Foot Locker UK. Get men's, women's, kid's, and baby's Puma gear for up to 40% off! Swing by and take advantage of these savings on Foot Locker mens trainers before the sale ends. Shop for Foot Locker shirts, pants, and sweaters from top brands including Under Armour, Nike, Adidas, and more at up to £20 off. This sale includes Foot Locker Air Max, trainers, shoes, clothing and accessories. Shop one of the hottest shoe brands around, the Foot Locker Air Max for at least £20 off during this sale event. If you're unhappy with your purchases from Foot Locker UK, don't worry - they offer free returns. Browse the Ultra Boost collection and save £70 off select styles. No Foot Locker discount code is required. Enjoy savings on kids' shoes, clothing and accessories. No Foot Locker discount code is required for this offer. Go active, shop Adidas trainers and save up to 30% with this Foot Locker sale. Looking to catch up with fashion trends? Shop for Timberland boots now up to 50% off during this Foot Locker sale. This Foot Locker deal includes men's, women's and kid's shoes, clothing, bags and accessories. Grab New Balance trainers from £40. Plus, keep an eye out for other Foot Locker sales for even more savings. At present, there is no Foot Locker student discount available although from time to time the label does partner with other platforms to offer discounts that range from 10% to 25%. Take advantage of Foot Locker vouchers and discount codes that help you save money on shoes and trainers such as Foot Locker Jordans or Vapormax ranges. You can enjoy Foot Locker free delivery on Standard Shipping to addresses within the UK when you spend £25 or more. This free delivery offer applies to all purchases including Foot Locker trainers for men and women as well as Foot Locker junior styles. The free delivery offers can be used with other Foot Locker promo codes to help you save on your favourite Foot Locker shoes. Sometimes it's hard to be exactly sure of the size, style, and colour when ordering sports shoes and trainers online which is why Foot Locker offers a generous returns policy. To take advantage of free Foot Locker returns either drop your unwanted items off at your nearest store or use the label's designated couriers. Shoes and trainers can be returned whether bought at full price or in the Foot Locker sale. Shop selected Timberland boots & save up to 50% at Foot Locker. Need the shoes to match you jokes? Get the retro look in a new pair of "Dad Shoes" at Foot Locker and save up to 50% off select items. Stay cosy this winter with Nike pullovers from Foot Locker. Shop their Back Friday deals and save up to 60% off select deals. Since its launch in the 1970s, the American label Foot Locker has grown to be one of the leading names in the world for sporting clothing and footwear, stocking the latest lines such as Foot Locker Jordans and Vapormax. Today, Foot Locker has over 2,500 stores across the globe as well as a huge online presence. To save money on both Foot Locker junior and adult styles visit seasonal Foot Locker UK sales in-store or click 'sale' on the online menu bar. 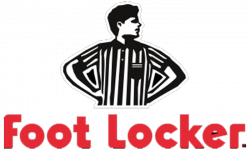 Keep on eye out for Foot Locker coupons or Foot Locker promo codes when searching online. These types of discounts will help you save on a wide variety of Foot Locker shoes. Hey Canadians, check out the similar deals we have on our Foot Locker Canada promo page.